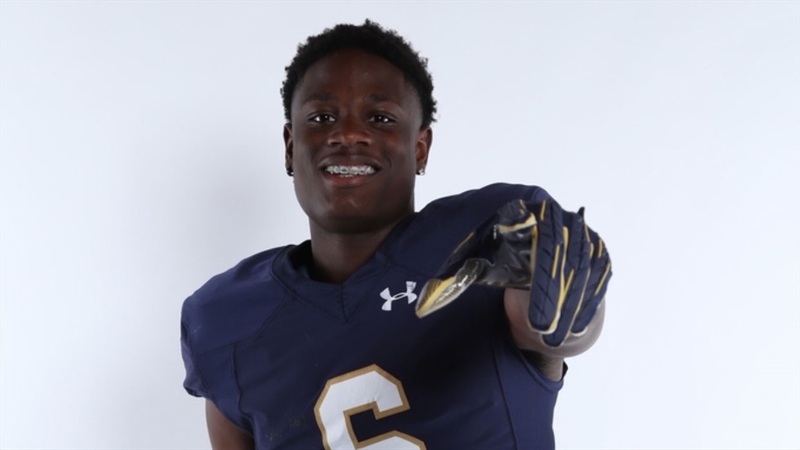 2020 Little Elm (Texas) cornerback Ryan Watts‍ had high expectations heading into his first visit to Notre Dame and the Irish hit all marks during his official visit over the weekend. “It was a great visit,” Watts told Irish Sports Daily. “I had a lot of fun and I really enjoyed myself. The overall experience and environment was great. One of the many highlights for the 6-foot-3, 187-pounder was observing practice on Saturday morning inside Notre Dame Stadium. The three-star prospect saw the Irish compete for the majority of practice and that’s precisely what Watts was hoping to see. “There was a lot of intensity out there and great competition,” stated Watts. “Everyone was getting better and getting after it. There was just a lot of intensity. It was a great atmosphere. During practice, Watts was able to watch cornerbacks Todd Lyght coach his guys up, but also teach them during the two-hour session. Lyght feels Watts would be able to enhance the Notre Dame defense as he can be a physical force in press coverage. The Texas native is also well-aware of Lyght’s background and knows if he were to go to Notre Dame, he’d be in great hands. Notre Dame football coach Brian Kelly also made quite an impression. Watts clearly was impressed with Kelly’s demeanor, but also his lake house on Saturday night. “I met with Coach Kelly a couple of times and then we talked right before we left,” explained Watts. “I like Coach Kelly. He’s an intelligent person and he’s not too aggressive, but he’s not too laid back. He’s like the perfect coach. Watts will now head to Oklahoma for an official visit next weekend and it could potentially be his final visit for the time being. “I have an official visit to Oklahoma and that’s all I have set up for right now,” Watts said. “I do have one set up for Arkansas, but I’m not sure I’ll be taking it as there was something popped up for a family issue, so I might have to change it. It was clear Notre Dame made a significant impression, but how much did they impress one of the top players in Texas?